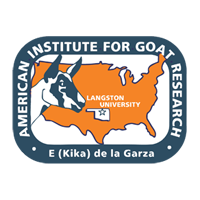 Twenty lactating Alpine goats were randomly allocated to four groups to investigate the effect of feeding regimes with concentrate on fatty acid profiles of goat milk and Domiati cheese at different stages of lactation. Pooled milk from each group was collected twice monthly for Domiati cheese making. Cheese was sampled fresh and at 1 and 2 months of pickling in whey. Caproic, caprilic, and capric acids in goat milk were recorded at 1.9, 5.5, and 25.1 g/g of fat, respectively, and accounted for 13.3% of total fatty acids. Total unsaturated fatty acids represented 28.9% of total fatty acids. In Domiati cheese, caproic, caprilic, and capric acids were 4.2, 7.4, and 31.4g/g of fat, respectively, and accounted for 11.2% of total fatty acids. Total unsaturated fatty acids represented 26.8% of total fatty acids. Fatty acid composition of both milk and cheese was affected by feeding treatments and stages of lactation. All fatty acids of milk and cheese were lower when goats were pasture-fed compared with other groups except linolenic and stearic acids in goat milk and linolenic acid in cheese. Concentrations of caproic, caprilic, capric, palmitic, myristic, and oleic acids fluctuated throughout lactation with the highest values at mid-lactation. The above observations indicate that pasture feeding during mid-lactation could result in improved quality and nutritionally healthy goat milk and cheeses.